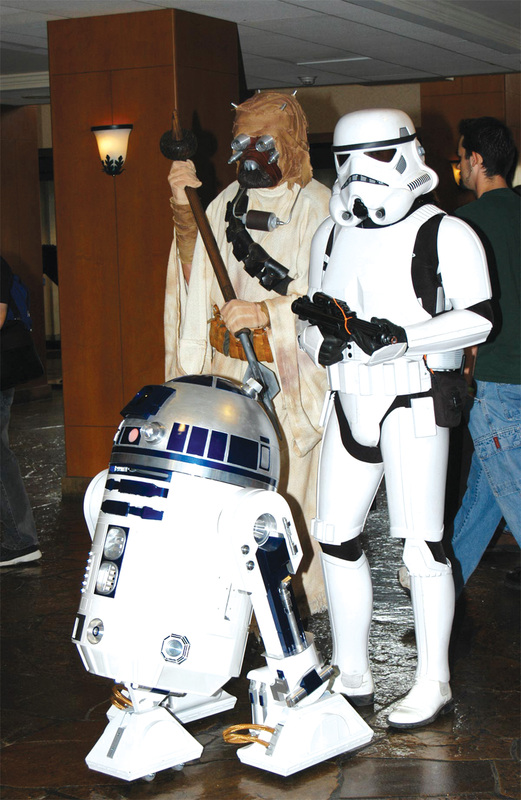 Fans dressed as classic Star Wars characters. 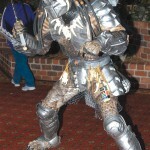 Jeff Swedlund, or “Predator,” has been attending Starfest for 10 years. “It’s a lot of fun and a good place to learn about new techniques to make costumes,” he said. 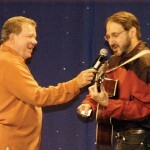 William Shatner invited Jim Berman, a sci-fi folk singer and fan, to the stage during his guest speech at the convention. Local barbarians called the Feral Horde are too embarrassed to give their names (maybe they work in the DTC area). It’s a good time to be alive if you’re into sci-fi. With “Hitchhiker’s Guide to the Galaxy” out in the theaters as well as “Star Wars: Episode III: Revenge of the Sith,” what more can one ask for? How about a visit from the former captain of the Enterprise, William Shatner? 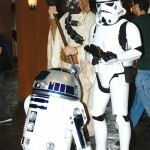 Fans dressed in costumes assembled at the Marriott Denver Tech Center on April 29 – May 1 for Starfest 2005 (Revenge of the Fest) presented by Starland. Klingons and Starfleet officers alike were free to roam about the hotel watching movies, buying collectibles and even attending a Federation Ball as part of the festivities. Although he had a cold, Shatner didn’t disappoint his intergalactic family. He entertained the crowd telling funny stories about his previous visits to Denver. 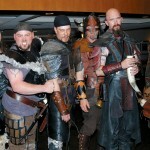 Other guests included Katee Sackhoff, Julian McMahon, Tony Amendola, Jeffrey Combs, Claudia Christian, and Dean Haglund.